On this visit, I was introduced to Japanese hosts in the temple town of Kamakura, who invited me to stay for three weeks in their empty in-laws’ house in the garden. Imagine having a whole Japanese house to yourself in Japan! I could not believe my luck. Kamakura is set up (as are many parts of Tokyo by the way), with tiny lanes barely big enough for a single car to pass, adjacent to the wider, more highly trafficked, two-laned streets. Most of the houses are hidden behind high hedges. The sensation is of deep deep green, coolness, and quiet. And I was surrounded by nightingales, the most beautiful of sounds. Except for their calls, all you hear are the sound of footsteps in the street, then in the morning, the children come rushing and shouting on the way to school. It is so quiet that people remark on unusual noises. So although I never met them, my hostess told me I had became famous in the neighborhood because of my practicing. We lived closest to Jyomyoji (Polish Your Heart Temple), and early on the first morning after my arrival, my hostess took me to see it. It was early May, and we were the first ones there. After paying the young Buddhist acolyte at the entrance, we walked up the stone steps that led to the covered gate, and stepped onto the gravel path leading towards the main hall. On each side of us we saw ancient plum trees, covered in lichen and moss, and the new green of spring leaves. When I looked more closely, I saw that their branches were covered with small flowering orchids. The wind came in warm gusts and sudden wild bursts, and a nightingale began its song. I walked tasting the air, in an intoxication of the day. After visiting the Buddha, we spotted a dry garden surrounded by flowering azaleas, and wandered closer. A pavilion overlooked it, Would I like some tea — entering for tea was the best place to view the garden — (yes!) — so we stepped out of our shoes, and found a spot on the red felt carpet closest to the garden. Dark stones emerged from white gravel raked in arcs to depict water: a dry seascape. A young female monk brought the bowls of tea, for me a low squat bowl glazed in burnt Sienna with gobs of white; for S, a round white bowl that picked up the green of the tea; and sweets on small lacquer plates with a toothpick, We ate our wagashi sweets first (they are stamped with the name of Ashikaga Yorikane, the bushi who originally owned the land here), and drew three long draughts of the well-frothed, deep green, bitter tea. My two official performances were in Kita-ku at Hokutopia, a hall where traditional Japanese musicians often play, and then at Nihonbashi Shakai Kyoikukaikan, in downtown Tokyo. The photo below was taken while I was performing Namima Reibo (Rythm of the Waves) in Nihobashi. I also played twice at the home of a fan of mine who invites her friends and prepares a wonderful meal to eat afterwards. I needed to have my shakuhachi repaired, and was introduced to a very able young man by Aoki Shoji, my teacher Reibo’s son, and went every week for ensemble practice with one of the Reibokai koto (zither) teachers. 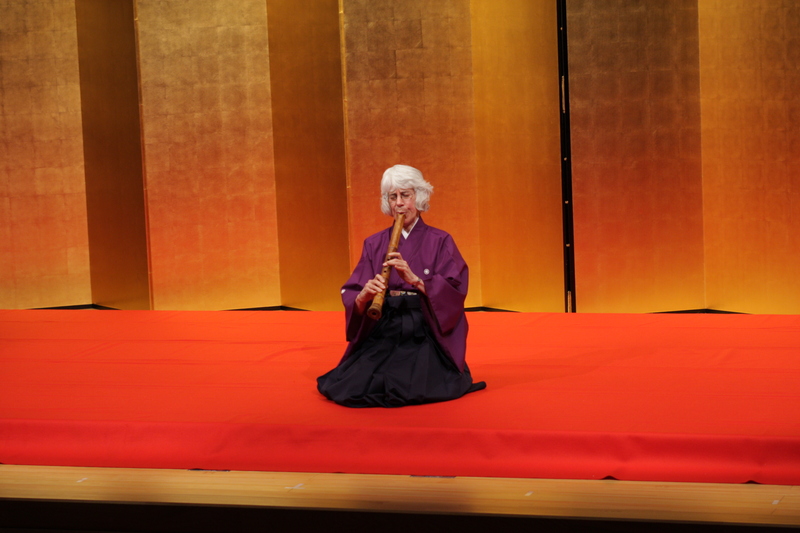 Another project was to meet a composer on the Sea of Japan, who was interested in writing a piece for the shakuhachi. She lives with her husband in an artists’ conclave in the woods. I arrived on the full moon of May, and after dinner, they asked me if I would like to go down and listen to the frogs under the full moon. Of course I said, “Yes!” We descended down a dark path from the house towards a pond. We could hear the sound of the Japanese bullfrogs going “meu meu meu” (not an American sound, so pronounce as in French, or between a “muh” and a “meh”) The moon was sailing high in the sky. With no electricity in any direction, the sky was pitch black. Then we moved towards the rice paddies. Immediately the air was filled with a roar of frogs, two kinds, one going “chakachakachakachaka” and the others going “wa wa wa wa” in synchopation. I could hardly hear myself think. If one of us began to say something, they would stop instantly; if we stayed quiet without moving, they would start up again, and from the other pond would come “meu meu meu” from the bullfrogs. And meanwhile the moon, hidden, came out from behind a cloud. 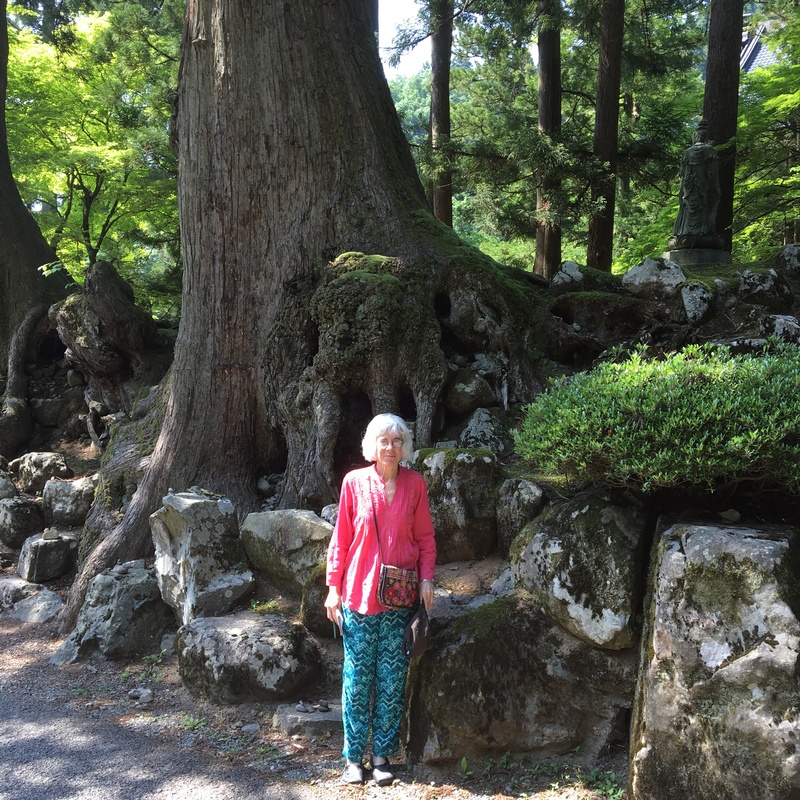 Below is a picture of me beneath a thousand-year old cedar at Eiheiji, a temple founded by the monk Dogen in the 17th century, to which my friends took me. Eiheiji has been the central temple for Soto Zen (known as slow Zen, as compared to the more well know Rinzai or fast Zen) in Japan, and young men bound to become priests at their home temples come here for training. This entry was posted in Asian music, Bamboo, Buddhist music, Elizabeth Reian Bennett, Japan, Japanese music, Life in Japan, Shakuhachi, World music, Zen flute on August 24, 2016 by elizabethreian2. 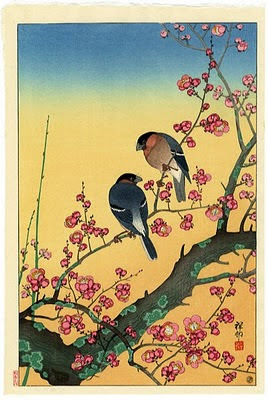 I awake to the morning soliloquy of the uguisu, the Japanese nightingale. It is a soft, blue-sky day. I ride an old one-speed bike down the steep incline, and Mieko hunches painfully over her granddaughter’s child sized handlebars. She wears the typical country woman’s floppy white hat, cotton gloves and long funnels of cotton over her arms to keep off the sun. As we drop down, we pass the elementary school on the left, behind an immense wire fence. A group of children are in the act of synchronized lunges and jumping jacks, and shout in unison. At the blind corner with the road leading to the river, we pause to peer around, cross over the deep storm ditch, and join the traffic. I memorize my landmark at the turn: stone lanterns that lead to a small shrine among the dark trees. We turn to take the path along the far bank. Walkers, a few joggers and a fisherman are already out. Here is Mieko’s plot. I am amazed, it is huge and vastly flourishing. The soil must be incredibly fertile, everything is enormous. I judge it about a quarter of an acre. For now we are to harvest only the strawberries and the snow peas. It is pure pleasure to bend over the plants. These are the enormous strawberries sold in the shops, I’ve never picked such big ones, and they are splendid. Mouthwateringly sweet, perfectly ripe. In no time, we pick ten pounds. Next, to the peas, again, abounding, fat, sweet, delicious. Mieko rips up the plants and sets me down on a small plastic stool so I can strip the peas from the stalks. Curious walkers pause to have a look. I cull about four pounds. But today is not the day that Mieko sells anything, so she ignores them. She sends me away to wash some strawberries for a snack and cool off, as it is getting hot. When I come to the spigot, not more than a few paces away, I feel embarrassed to wash them, as there are two aged folk resting quietly on the bench nearby, and there is no doubt that they will see the strawberries when I hold them under the water. The Japanese are so very polite, they would never take offense if I ate in front of them; I am a stranger. But they have not tasted these berries! I notice a large person-sized space between them, so I sit down and offer my berries, well rinsed. But I know they might never have tasted a strawberry straight from the plot, deep red — and perfectly ripe — a flavor each a little different, some of flowers, some as though a touch of cinnamon has grown in, so sweet and good. The husband is 90, and his wife is 88. “Oh, what a good day!” she says. Funny how the taste of something so good can make you happy. When I get home from my first lesson with the koto (zither) teacher that day, Mieko is squatting at the front steps, attempting to feed a small feral kitten. She has been trying to tame it, bit by bit. The liquid call of the nightingale comes from quite close. Quick as a flash, the small cat leaps into the air and bats it down. It falls dead at my feet. Quarter to five and I hear the rubber purr of the scooter and a thump, the morning paper. Crows caw. I hear Mieko getting up. She wants to go down to the plot to get some strawberries for me to take south with me on my trip, if the garden is not too muddy. She is readying plastic sacks, I hear them, and a zipper drawn. I’m on the Shinkansen platform, waiting for the bullet train at a car for those with unreserved seats, far too early. Careful lines have been drawn on the platform from each door, to indicate where passengers are expected to line up. There is no doubt that I will be first in the door –- no one else is here! A group of cleaning ladies arrives and they line up on the other side of the platform to wait for the arrival of the next train. They are decked out in pale salmon pants and blouses; lapels, cuffs and cap striped with white; white cotton gloves; and sneakers with matching salmon in the heels. Each carries a blue bag and a mop. The train pulls silently and carefully in, aligning with the marks on the platform. The doors open and passengers begin to alight, and the waiting ladies bow to each in turn. Now a few passengers begin to line up on the other side of the door. The cleaning ladies disappear into the train. A group of engineers is gathering near me. They wear blue uniforms with gold braid at the shoulders. Then, in a marvelous joke, each wears a tie with vertical blue and white stripes that seem to pop off their chests with a life of their own. I suddenly realize that ties are usually striped diagonally, which prevents the optical effect. A lovely warm sun falls down. My train pulls in. The cleaning ladies have crossed the platform to wait for my train, and now a few people have begun to line up behind me. I had no need to come so early. But I didn’t realize how the system works. Now I know to come twenty minutes before departure, when the cleaners arrive. I go over to visit my friends the Kawasaki’s in the afternoon. As I turn right at the snack place, I meet Rie-san coming out to do errands on her bike. In two years, age has rearranged her face. The lower half has somehow slipped and widened. I will see her later so she rides on. Then, as I reach the dusty park, Mr. Kawasaki, her father, comes down the narrow path from the house. This is where Mrs. Kawasaki used to wait for me in her apron, hands crossed at her waist, beaming. But she died over a year ago; I will never see her there again. Mr. Kawasaki is a little unsteady on his feet, perhaps his peripheral vision is not what it should be. He holds his left hand out to touch, very delicately, whatever he passes, his hands with the long-nailed pinkie. Back at the house, we make ourselves comfortable on the floor, and watch the sumo. Sumo has fallen out of favor here, no longer wildly popular as when I first came to Japan. You can see clearly from the TV that the hall no longer fills completely. I’ve watched it every time I’ve come, right here in this house. Now a Bulgarian and an Egyptian, to say nothing of the Mongolians, are part of the teams. We sit around the table chatting and drinking bancha*, commenting on the sumo. This is a house where I can drop in any time, I am so much at home it is like another skin. I hadn’t realized, but Mr. Kawakami is almost a year older than my father. He turns 94 soon. I hope he will still be here next time I come. Please note that all names have been changed. 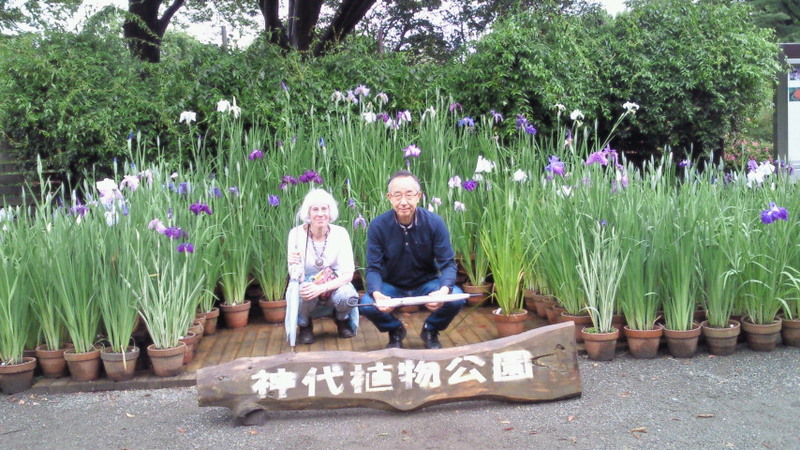 This entry was posted in Elizabeth Reian Bennett, Japan, Japanese friends, Japanese music, Life in Japan, Shakuhachi, Zen flute on September 12, 2014 by elizabethreian2.